Walter Mosley is one of the greatest American crime-fiction writers. He’s the author of nearly 50 books, including 14 volumes chronicling the life of Easy Rawlins, an African-American private detective living in South Central Los Angeles. 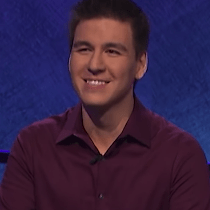 His newest job is as a writer and consultant on Snowfall, the FX drama about the effect of the crack cocaine trade on Southern California in the 1980s. The series returns to FX on July 19, and the first episode of season two will premiere at this year’s Split Screens TV Festival on June 2 at IFC Center, with Mosley in attendance. Ahead of the Snowfall season premiere, Mosley talked to Vulture about the difference between novel writing and TV writing, the problem of mass incarceration, why he believes all drugs should be legalized, the advice he gives young writers, and what happens when he loses a draft of something he’s working on. What made you want to join the writing staff of a TV series? Well, it’s a good show. [Snowfall co-creator] John Singleton asked me, and I love John, so of course I said yes. It was also something different, and the offer just happened to arrive at a moment when I needed the money! What are the major differences between writing fiction on your own and writing it as part of a group, which is what happens on most serialized TV shows? ﻿When you write for television, you really are writing as a group. You’re all together working it out. Everybody’s in a room together talking about the episodes, about the season, and trying to figure out where things are going to go and how you need to get there. A lot of your time is spent on stuff that’s not writing — the planning, the structure, figuring out what’s coming up. “What happens next? What happens next?” That’s the question that you constantly deal with. You don’t think of the “What happens next?” part — the plotting or structural part — as part of the writing process? Or is it just not the fun part? ﻿Oh, I’m specifically referring to writing for television when I talk about that. By the part that’s not writing, I mean the part where you’re breaking everything down structurally. The part where you go off and actually work on the script for an episode, that’s what I think of as the writing part. Your Easy Rawlins books became a kind of alternative history of Los Angeles and Southern California. Did you always envision them that way, where you’re looking at different decades through the eyes of this character? ﻿Well, the time frame isn’t strictly one novel per decade, although it was maybe a little closer to that at the start. But yes, that was always the plan — to show the history of African-Americans in Los Angeles, showing the great migration from the South that brought folks into the city, then look at what happened to them after that. It’s an aspect of American history that isn’t understood in the way it ought to be. When you look at the arc of history for African-Americans in Southern California, and in the country generally, how much improvement do you see? ﻿Obviously, there’s been progress. There are no neighborhoods in Los Angeles that people are just afraid to ever go into. It’s possible for us to get into just about any field now and excel. We’ve had a black mayor [in Los Angeles], and a black president. But a lot of the inequality remains. Mass incarceration is a major problem. Generations have been devastated by it. Snowfall is about the effect of the crack cocaine trade on Southern California, particularly on black and Hispanic men. Now that marijuana is being legalized, do you think the sentences of people imprisoned for selling it should be vacated? ﻿I think all drugs should be legalized and their use ought to be regulated by the government. The incarceration of people in the drug war in this country is a tragedy. We have the highest incarceration rate of any developed country on Earth. A lot of that is because of the drug war that’s been going on for decades, a war Snowfall is telling people about. When you talk to young writers, what advice do you give them about how to be a professional writer, as opposed to somebody who can write? ﻿That’s hard to say because everybody’s different. They all have different processes. I wrote a whole book about this, so I usually just refer people to it. It’s called This Year You Write Your Novel. I used to say, “If you aren’t writing two hours a day, then you’re not a writer,” but I think it’s more like if you have to write, you’re a writer. The main thing is discipline — to just teach yourself discipline. What do you think of the concern that I’ve heard other writers express, that new technology has fragmented people’s attention spans to the point where the prospect of reading an entire novel is no longer appealing? ﻿[Laughs.] I hope that’s not true! I don’t think there’s any doubt that things are different. Things change, you know. But I don’t think it’s affected people’s willingness to read novels, and I don’t think it’s affected people’s willingness to write novels. You know, the number of books sold stays pretty consistent year after year. The problem is more people are publishing books, and are able to publish books, than ever before. There were something like 300,000 books published last year, just in this country alone. That’s a lot of books! How do you call attention to those books, let people know they’re out there [and] they aren’t just sitting there unread? I don’t think anybody has a good answer for that. Have you ever lost a manuscript and worried that it was some of your best work? That you’d never write it as well a second time? ﻿I’ve never had anything like that happen to me. Oh, maybe a draft of a story, or a chapter of a novel, something like that. ﻿I just start all over, writing it again. You know, it’s fine. I know some writers who never get over it. They think of that story, that manuscript, as the one that got away. “The one that got away?” That’s funny. I tend to think if it got away, it’ll either return to you or it won’t. I know a guy who was obsessed with the girl that got away. The one that got away, the one that got away, that’s how he thought of her. Forty years later, she came back into his life. She returned to him! ﻿He broke up with her. 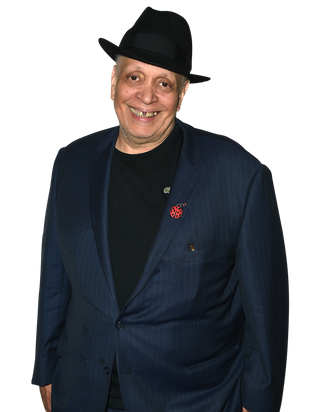 Walter Mosley will be at the Split Screens Festival on June 2, at IFC Center in New York City. Tickets are available here.